This module is a simple way for your visitors to get in contact with you. Sometimes full contact pages are just too much. If you're looking for an easy way to stay in contact with your visitors this module is for you. This module has fully configurable language settings, sends emails to a specified admin account, captcha spam protection and much more! 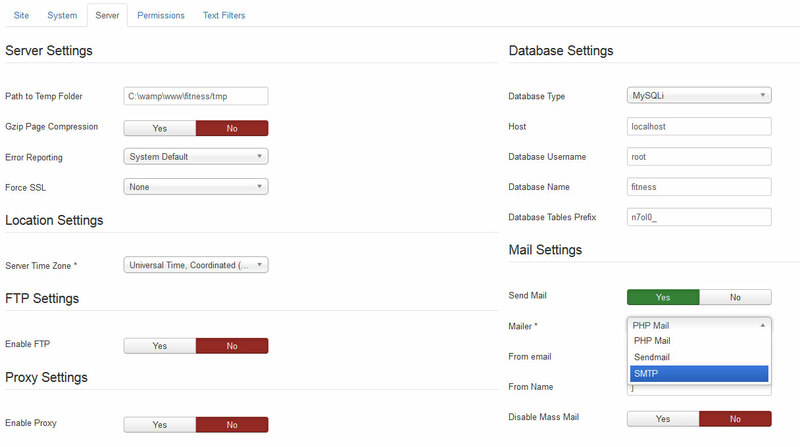 Emails are sent through the Joomla mailer functions. These settings are controlled in the Joomla Global Configuration. Below is a complete list of all the settings under the first "Module" tab. Usually the default settings will work fine. Most features are self explanatory, be sure to read the tooltips for each settings for full descriptions. We will highlight the three most commonly used ones below. Emails Should Be Sent To - This is the email address where emails should be sent. One of the most common configuration problems during setup is this field is left blank, so be sure you have a valid email address submitted here. Field Text - Each field has a text field, eg: Name, Email, Subject, Field 1, etc. This is the text that actually shows on the form and in the email that is received. Field Type - This is the type of field you would like shown, eg: Text, Textarea, Date, etc. Inputs will show in the order they are setup in this configuration. Below is a complete list of all the settings under the first "Messages and Text" tab. Usually the default settings will work fine, but you can adjust the text as needed. Enable spam protection under the "Spam Protection" tab. There are several options for spam protection including enabling a captcha box, and also word exclusions.